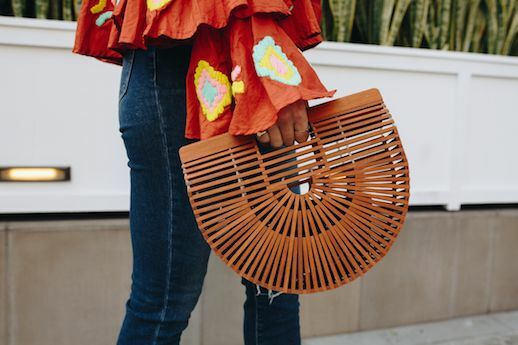 Boho lives on the border of tacky, hippie and sometimes even, hobo. In order to do it right, don't go overboard with every single piece. Instead, focus on 2 pieces at a time. If you're playing with a load of fringe, balance it out with a modern or simple piece. Michelle does this perfectly. 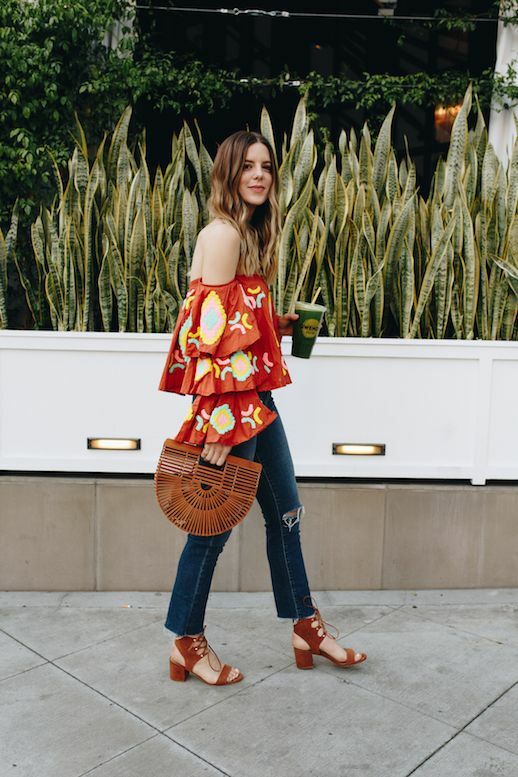 She paired a bright, patterned off-the-shoulder top with a semicircular tote and opted for dark denim and a pair of suede block heels.